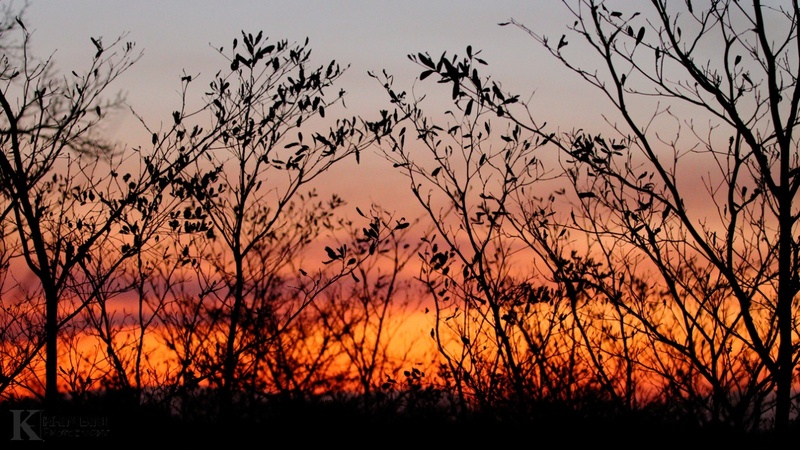 The weather: August is the month on the cusp between our winter and spring, where the evenings are cool, chilly even and the days varying between warm, to almost hot even and other days with coolness borne on the southerly wind. Wildlife: The wildlife viewing has been of an excellent standard this month. Warmer afternoons were accompanied by an increase in fantastic sightings. Barely an afternoon passed without a predator sighting and the Sabi Sand’s countless elephants provided much entertainment almost every day. 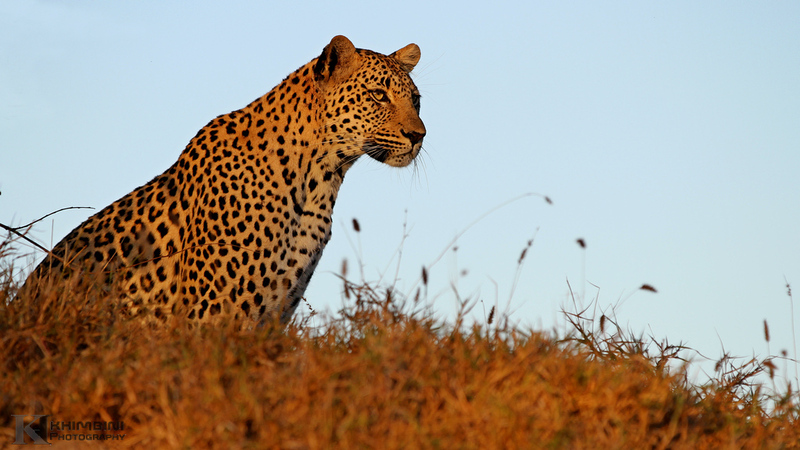 Dayone male leopard is looking great at the moment and he is been actively marking and patrolling his territory. 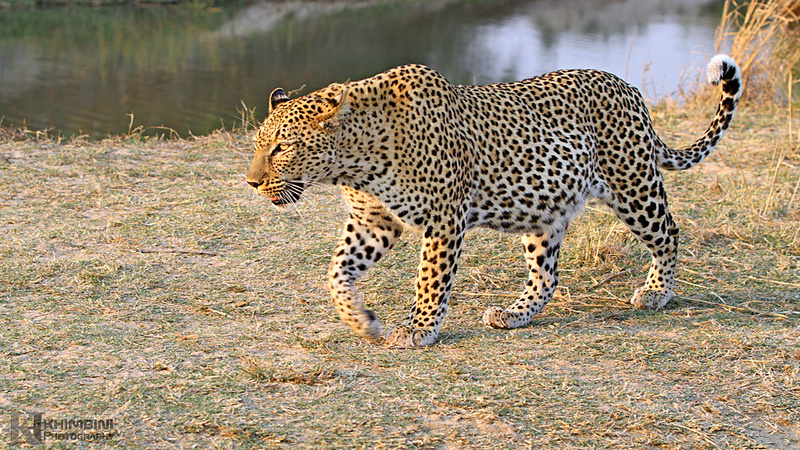 He seemed to be on the search for the Nyeleti male who has been sneaking into his territory. It was really a very busy month for him as he was seen mating with Metsi female and then he was mating with both Metsi and Hlabankunzi female at the same time. After four days Metsi left the two of them. Once Metsi was gone the mating resumed beyond the norm and they were copulating at about every 5 minutes , lasting longer than a good five days. This male is known for killing the Ravenscourt female and he is still determined to find a territory this month. 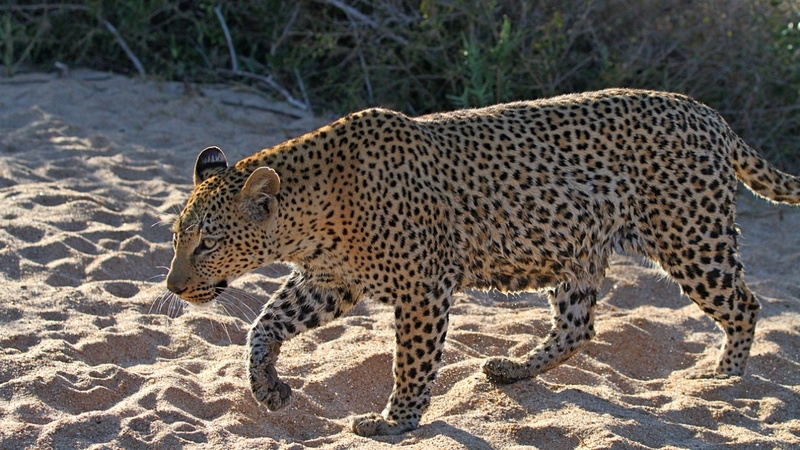 He has been covering great distance and appears to be on the trail of Hlabankunzi female and cub, however with no success. 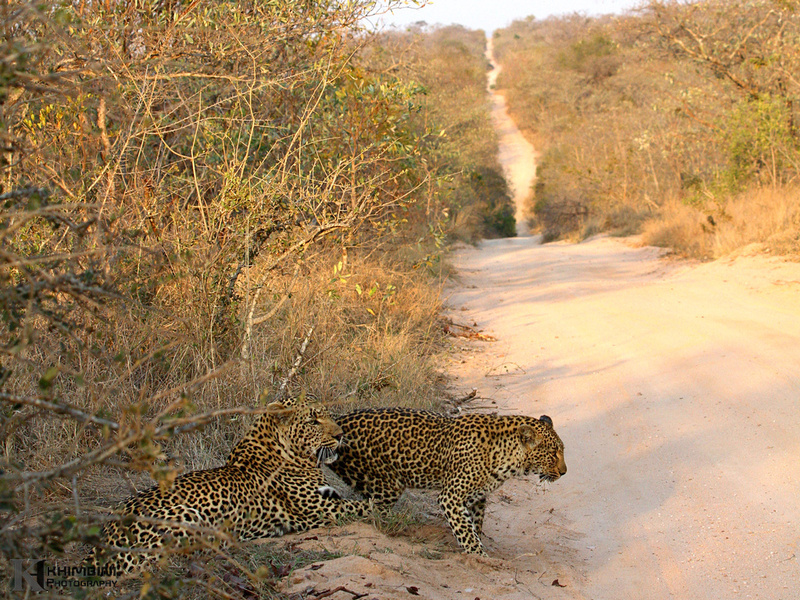 One morning we saw Nyeleti male trying to get to the Ravenscourt young male who he followed deep into the western sector, luckily for the young leopard, he was denied access by Selati male who was resting under a tree that the young leopard was in. 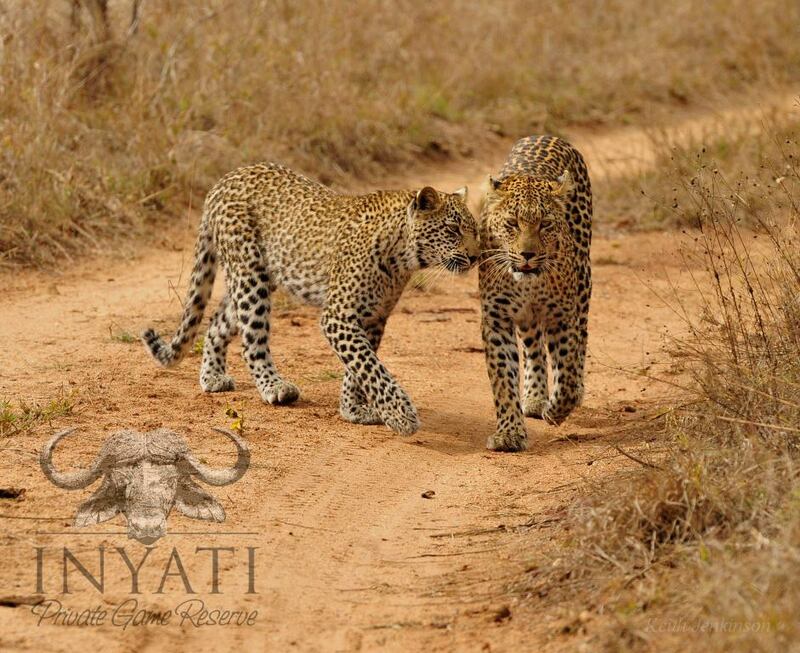 Later in the month the Nyeleti male was reported to have had a fight with Khashane male and was displaying a few minor wounds including cuts on his ears, which were evidence of the battle. Hlabankunzi has been spending time away from her cub. She was spent a week with Dayone male, mating. The cub is semi-independent now we have seen it hunting but haven’t witnessed a successful hunt to date. 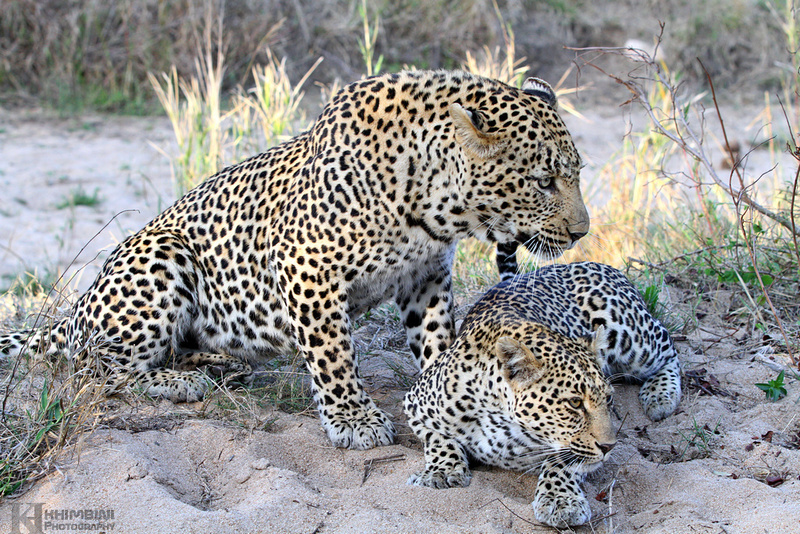 The picture below shows her leading an appreciative cub to yet another Impala kill. She has been doing well and killing often, this is evident in their condition. Even though the pack of wild dogs have “stolen” some of her kills , she is coping with the competition and threat they pose. 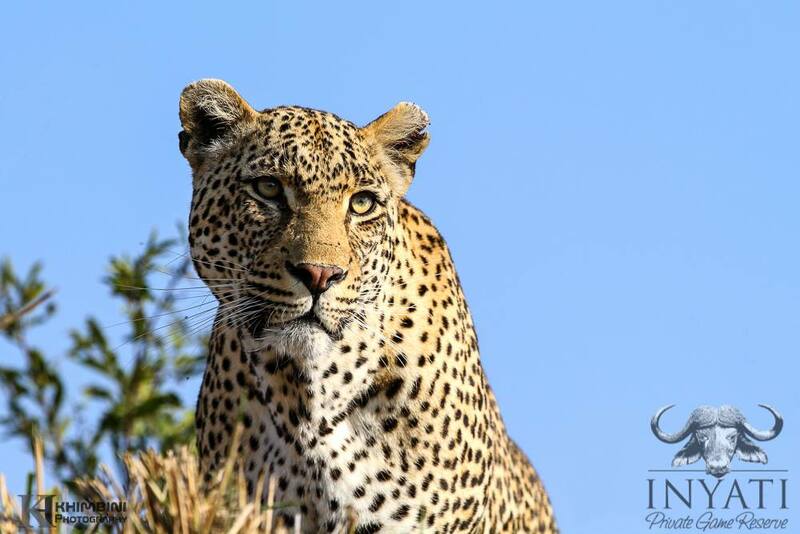 This leopardess have been seen frequenting the lodge more and more often the last couple of months. So far she has been seen in the lodge area every third day or so. She is heavily pregnant she will drop anytime now. Exciting news! She has given birth. We can see suckle marks which is clear indication that there is at least one little cub somewhere on the Northern-western section of the reserve where she is often seen. Now we wait for her to bring them out for us to see. Once spotted, we will share with you. 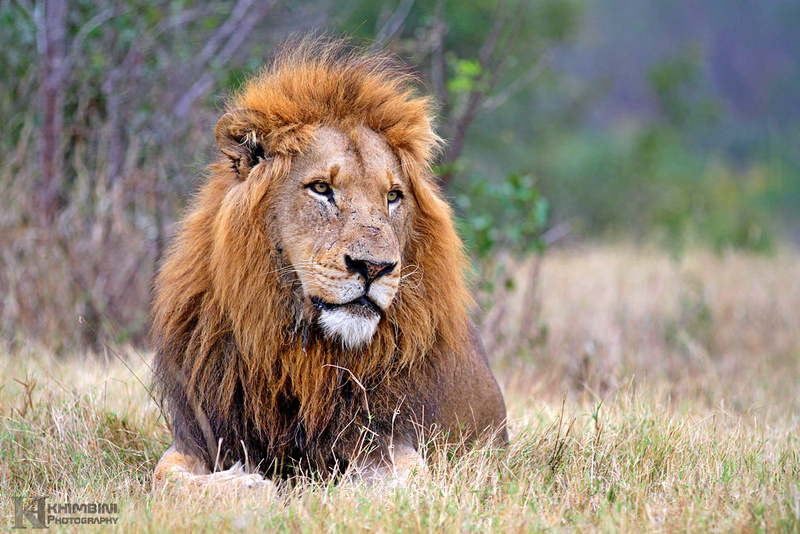 Lions have provided us with regular sightings this month. 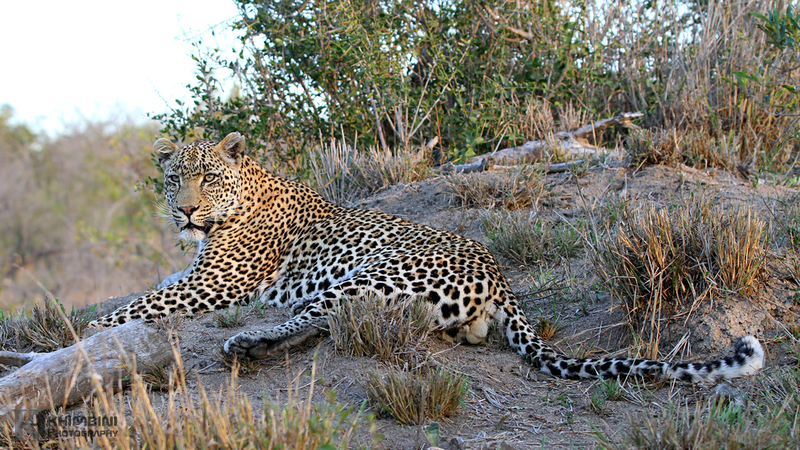 Two different prides and four members of the Selati males have been seen throughout the month. Three members of the coalition are doing great often seen together hunting or patrolling their territory. The male that had injured paw has recovered well as he is able to keep with the group. Unfortunately we can’t say the same about the male with broken ribs. 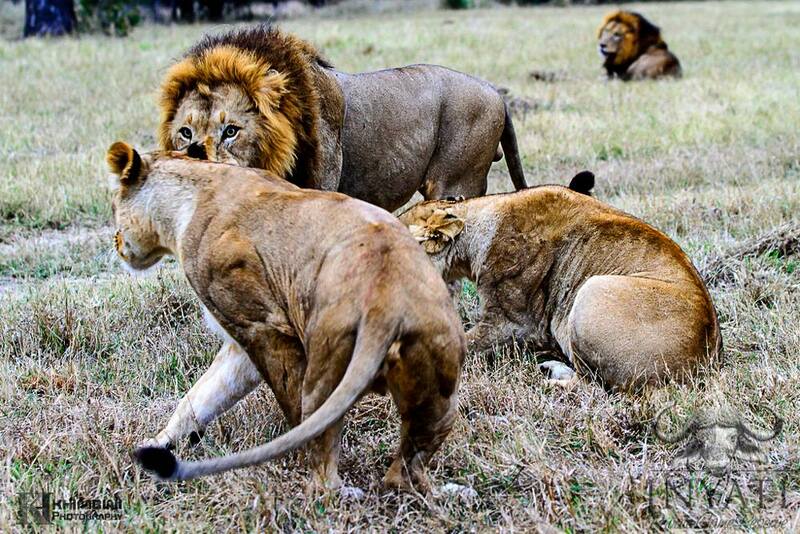 His condition is worsening and is he appears to be having difficulties in keeping up with any group of lions, his brother or any of the prides. The three males killed a buffalo in the Sand river, luckily he happened to be nearby got to join in few hours later for a feed. 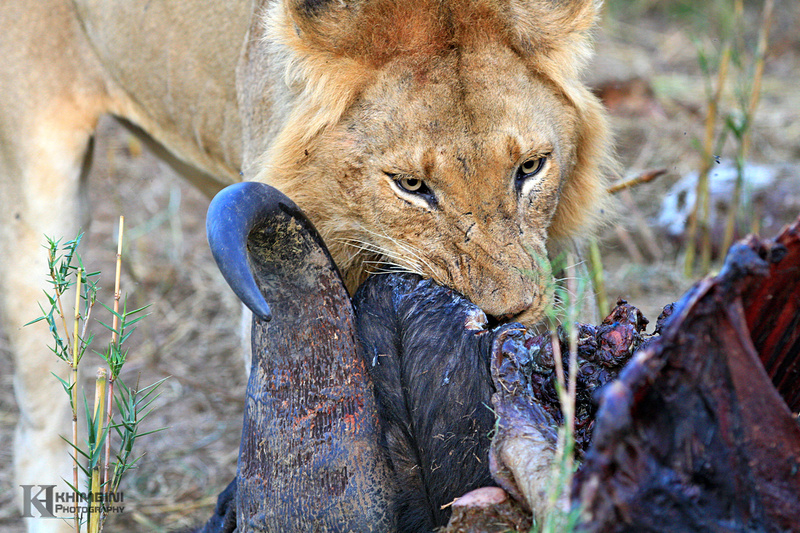 When others left he remained at carcass finishing the scraps knowing it may be a while before he eats again. 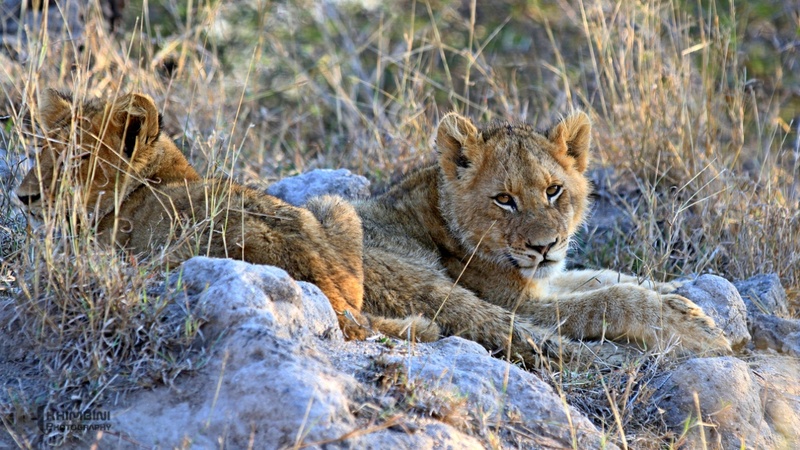 This pride has provided us with some fantastic lion viewing throughout the month. The prey species have dispersed because of lack food and water and predators have to cover large areas in search for their food. This pride has been seeing hunting often along the Sand River. They have been having great success hunting and killing mostly kudus and nyalas and the cubs are looking healthy. The lioness with no cubs is thought to be pregnant as she was mating with the most dominant Selati male, possessive as we know him, he was hogging her. The other sisters were denied access to her; the other males could not even look in her direction without him growling at them. The pride has been scarce for most part of the month but one of the few sightings we had of them was great. They had killed a large male kudu and the pride was feeding at the same time with fights between the cubs getting intense. The cubs are growing and their confidence in hunting is rising fast, although they are only getting in a way of their mother at the moment, they will learn. Elephants have arrived in the Sabi Sand Game Reserve, Inyati in force – crossing back-and-forth the Sand River, providing us with superb sightings of swimming pachyderms (nonruminant mammals). Situated just on the bank of the river our lodge has become a very popular gathering spot for these huge beasts, especially at midday when thirst drives them to drink from the waters directly in front of the lodge. 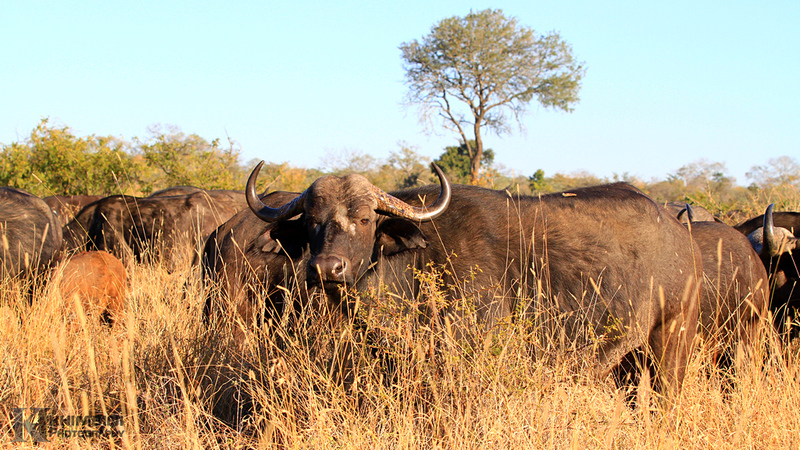 We were blessed this month with couple of the large herds each consisting of around 300 buffalo in our traversing area for almost three weeks. The herd is still in good condition despite the dryness of the grass. The groups bachelors are still spread around the property. One small group of 8 bulls spend most of their days around our causeway. As we had predicted, the resident wild dog have denned in the area. The den site was located early in the month and the roads leading to the site were closed off so as not to disturb the pack. We now wait in anticipation for the arrival of the pups in the coming months. However this did not signify the end of the wild dog sightings. Around mid-month while out on afternoon drive we found the pack and followed them. We got to witness them hunting a waterbuck. Just when the dogs were a about to pounce the young antelope ran in a dam, the dogs seemed worried about the possibility of crocodile in the dam, after few minutes of running around they moved on searching for some other antelopes. A trip to the hyena den site is a real treat when staying at Inyati. 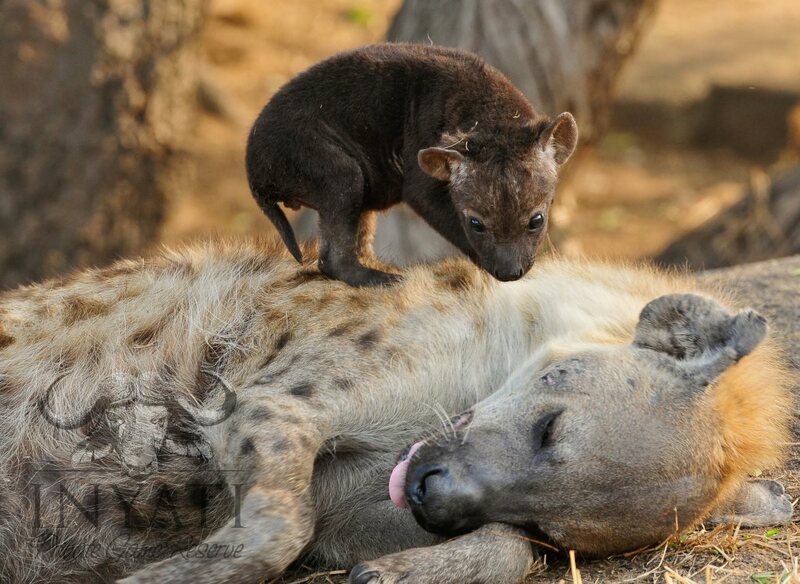 This hyena cub didn’t give its exhausted mother a seconds rest. Beautiful to see how caring a patient such fearsome predators can be. There is seldom a moment during the day where an animal of one sort or another cannot be seen from the main lounge area or deck. 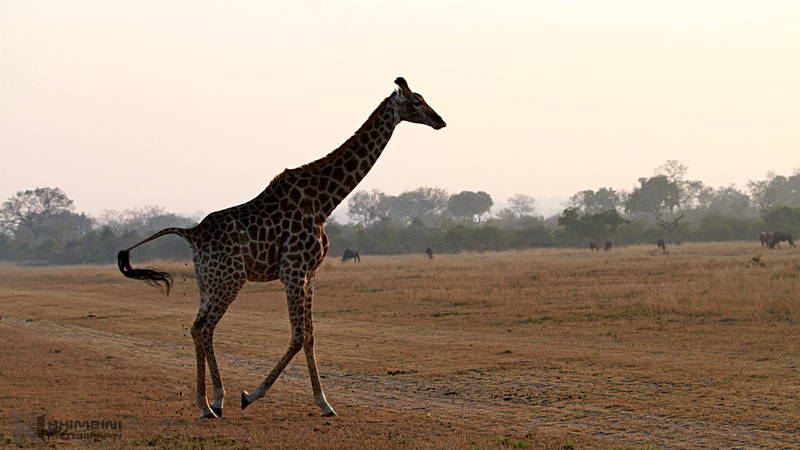 With a vista to die for, the addition of a herd of elephant, a journey of giraffe, a raft of hippo or as was the case this month, the pregnant female strolling through the camp grounds.